15 Best Apps For Homeschooling – Happy. Homeschooling. Housewife. Yup, there’s an app for that! I came across this list of educational apps and couldn’t wait to share. My girls are truly tech lovers (which they must get from their dad). Honestly, my two year old knows how to work my phone better than me. I am always looking for educationally based offerings and can’t wait to give some of these a try. Is your favorite app missing? Please let me know what it is. As always, Stay Encouraged & Be Blessed! We are on a mission to locate the best applications for homeschooling parents, apps that will assist in regulating screen time for children while also offering fun educational content with minimal supervision. The following 15 apps are some of the highest ranked, most frequently recommended and most beneficial apps we found. While some of these apps are strictly related to homeschooling, not all of them are for that purpose. Some are just great apps. Some are free and some cost a couple of dollars, but all are applicable whether your student is homeschooled, enrolled in an online school or attending a traditional school. Happy learning! 1. Duolingo was given the title Google Play’s “Best of the Best” for two consecutive years, in 2013 and 2014. 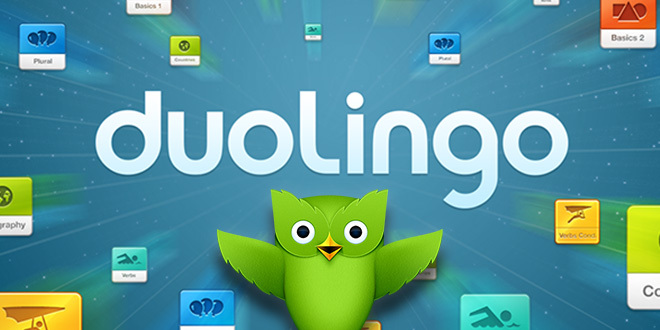 Duolingo, a college-quality language educational tool, is free, fun and constantly improving. The site calls out a study by professors at Queens College and the University of South Carolina that says “an average of 34 hours of Duolingo is equivalent to a full university semester of language education.” It is appropriate for ages 5 and up. 2. Scratch and Scratch Jr. Scratch is created for kids with ages of 7 and above, while Scratch Jr. is an iPad and Android (4.4 and up) tablet application intended for children ages 5-7. Both free apps will allow young kids to easily learn programming and, in the process, they learn to design projects, solve problems, and be creative on the computer. 3. Dragon Box This educational app is designed to secretly teach young kids ages 5+ the basics of algebra. Kids travel through 200 levels not realizing they are doing algebra and math. Available for iOS, Android, PC and Mac; $4.99. There’s also a version for kids ages 12-plus. 4. Academy It’s unbelievably easy to play, there are no ads, and it’s suitable for any school-aged youngster who knows how to read. The Khan platform combines educational videos with practice problems in programming, science, math and more. Available for free on Windows and iOS 7.0 and up. 5. Splash Math is a comprehensive math practice program that adapts to your child’s need and skill. Math has excellent sounds and graphics. Available on desktops, laptops and iPad for free. 6. Quizlet This application makes simple tools like flash cards that let you study anything plus improving your study habits. Users can also access millions of flash cards created by others. This is a free app available on Android and iPhone and iPad with iOS 7.0 or later. 7. Bitsboard was named a Top 5 Education App, and it can be downloaded from the App Store. It features dozens of addictive mini-games for all ages incorporated on one app. Requires iOS 7.0 or later, this amazing app is available for free on both iPad and iPhone (optimized for iPhone 5). 8. Stack the States is another educational app for all ages that makes learning about the 50 states of the U.S. fun. Kids will learn the 50 states’ capitals, flags, abbreviations and more. $1.99 at the App store or play the free lite versions. 9. Google Earth enables kids to explore Earth and everything in the Milky Way with a swipe of the finger. It is free and no ads are popping up. Downloadable for PC, Mac or Linux and Android devices. 10. Chore Pad HD is fully optimized for iPad and a very fun tool for motivating children to complete household chores. Parents can use it to assign and track household tasks. It’s available for iPhone ($2.99) and iPad ($4.99). 12. Evernote The app makes it simple to collect and save articles, take notes, and more, and syncs with all your devices so you have what you need on whichever device is to hand. This could include to-do lists, lesson plans, student portfolios, or notes and research. Premium and business versions offering more capabilities are available for a fee. 13. Kindle, iBooks, or Nook An e-book reader app is a must-have app for homeschooling parents. Project Gutenberg is a great site that makes available more than 45,000 free classic e-books for all ages. 14. Screen Time is a parental control app that manages the time kids spend on their mobile devices like tablets and phones. It encourages a balanced lifestyle for children, both indoors and outdoors. Available on monthly ($3.99), six-month ($20) and yearly plans ($40), for Android devices running all 4.0 and 5.0 OSes. 15. Typing Fingers uses a modern approach to teach efficient typing. Improve your kids’ typing skills and get a diploma for each successful completed level. Available in seven languages from Foriero Studio for Mac, PC and iOS; $4.99.